This week marks the final transmission of the wonderful record label, City Centre Offices. Their style of electronic music was new to me at the time and I devoured their releases with a rapacious glee. I think I have somewhere between 40 - 50 CCO recordings. 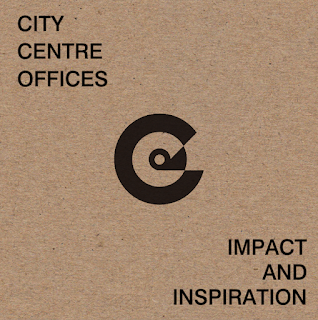 City Centre Offices has been silent for a number of years and I hate to admit that I'd sort of forgotten about them. But now this week brings one final release, Boy Robot - Final Transmission. So with the end of CCO officially here, I thought I'd collect a few favorites in a new mix. There is so much great music that came from CCO that I could have done mixes that were hours long but I kept this one to the standard 1 hour. Great stories, insight and music in that ASIP reminiscence. The good folks at ASIP also put together a terrific Spotify playlist of CCO music. I hope you enjoy this little stroll down memory lane as much as I did. Sometime around 2001 I discovered the album Tides by Arovane. I'm not sure if it qualifies as "post-digital" or "blip hop" or "micro" music but it was through that album that I began a brief love affair with the style of music known as "glitch." I have always loved electronic & ambient music but at the end of the 1990s I had lost interest in berlin style electronics and mostly listened to straight ambient. But with the emergence of glitch, and it's use of complicated beats, noise and samples, I found a new rhythmic electronic music to dive into. The biggest purveyor of glitch music back then was the Mille Plateaux label. With their Click & Cuts series they introduced me to a whole new range of sound in music. There is definitely a lot of music from that time period that, while interesting, could become annoying as well. I'm not a fan of loud and aggressive glitch. I definitely am more in tune with the sort of stuff put out by 12k. Over time I grew tired of much of the glitch scene and the never ending little pops & clicks & wee little sounds intruding on the music. Although I still enjoy much of 12k music. Recently I was organizing some of my collection & revisited some old glitch material. I found that I am still very fond of some of it. I started collecting tracks for this mix and was surprised at how much I enjoyed it. So this mix is a little step back in time to the early 2000s. A small glitch in the passing of time to when glitch ruled, for me anyway.